For further information or requests for customized plots, please contact me on w.j.stirling[AT]imperial.ac.uk. All plots can be provided in either .eps or .pdf format. If these plots are used in a publication or talk, please use the reference "W.J. Stirling, private communication". 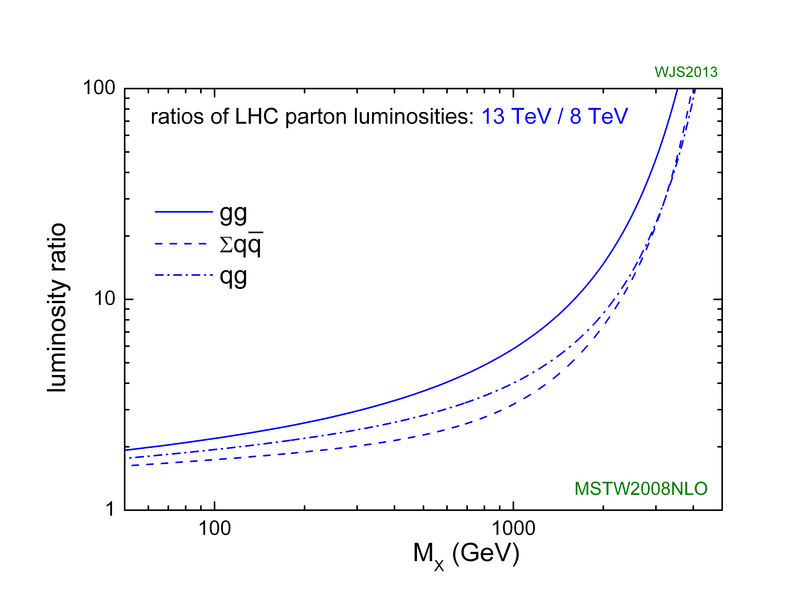 These luminosity distributions are calculated using MSTW2008 (NLO) parton distributions, see arXiv:0901.0002. Further information and pdf codes can be found on the MSTW page on HepForge. 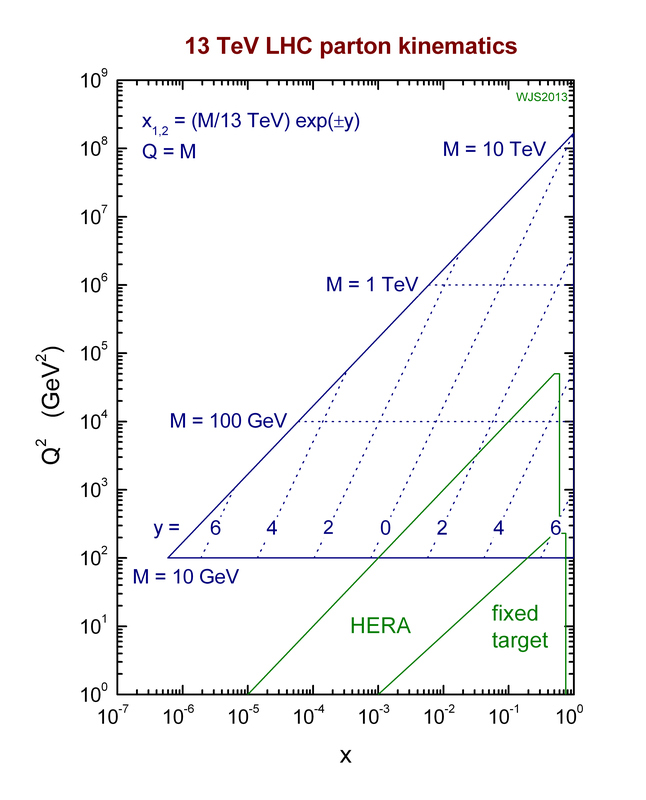 These cross sections are calculated either at NLO or NNLO pQCD, using MSTW2008 (NLO or NNLO) parton distributions, with the exception of the total hadronic cross section which is based on a parametrisation of the Particle Data Group. 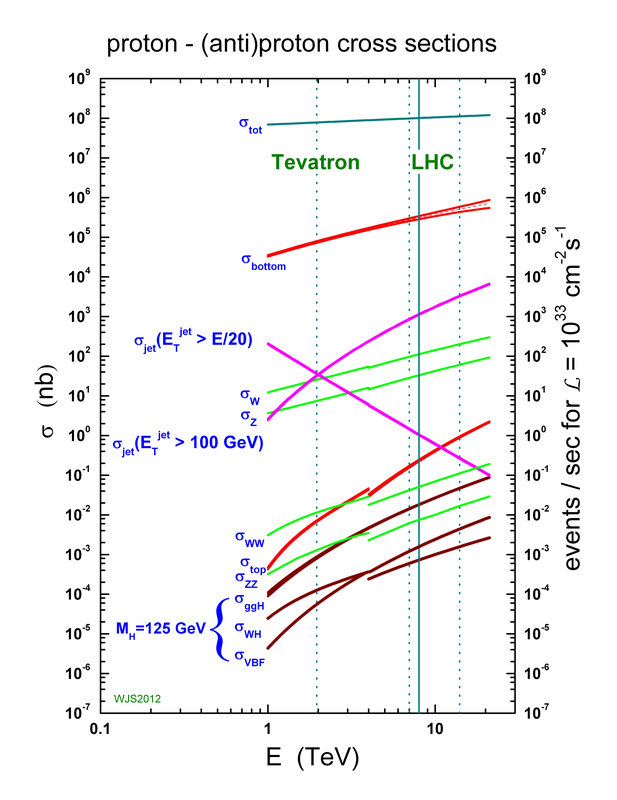 The discontinuity in some of the cross sections at 4 TeV is due to the switch from proton-antiproton to proton-proton collisions at that energy.